This is Tigers' seventh win from 19 games and now have extended the gap over bottom-placed Newcastle Falcons to eight points. 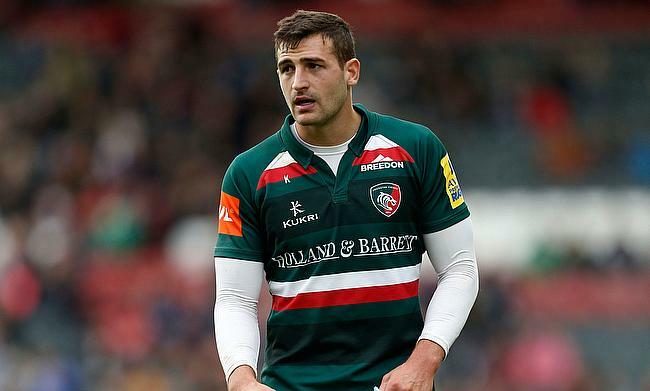 George Ford kick-started the proceedings with a third minute penalty goal for Leicester Tigers and soon stretched their lead to 10 points when Jonny May dotted down in the 17th minute following an offload from Guy Thompson. Ford followed with the conversion and also slotted second penalty goal in the 26th minute to make it 13-0. The Falcons though gathered momentum before the break with back to back tries from Chris Harris (33') and Tane Takulua (36'). The scrum-half added conversion on the first occasion as the gap between the two teams became 12-13 heading into the second half. The Tigers had a head start in the second half when a pass from Toby Flood was picked by Thompson for the first of his two tries in the 48th minute after sprinting from his own half to the other side before dotting down while Ford converted it. As the scoreline became 12-20, the Tigers lost the plot when Mike Williams was sin-binned in the 55th minute for collapsing a maul and Takulua capitalised on it with a converted try to bring the scoreline to 19-20. The scrum-half seized the lead for the Falcons with his first penalty kick in the 64th minute. However, the lead did not last long with Thomson diving from close range at the back of a ruck in the 68th minute ensuring a 22-27 win for the visitors.